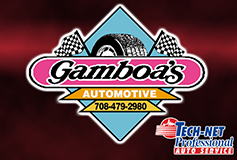 Grease Lightning was established in 1998, and our shop is a full-service oil and lube center with three bays. Visit our location on Wolf Road in Mokena, Illinois, and we'll put high-quality Mobile 1 brand oil in your engine. You can also get speedy lubrication services. Our team gets you in and out in no time flat. Grease Lightning protects the environment by properly disposing of used oil. For your convenience, we have additional hours on Sunday from 9:00 a.m. to 3:00 p.m. Our manager is Brandon Achterberch, and you can reach him at (708) 479-5151.